Ajose Sehindemi is Businessamlive Reporter. You can contact him on ajose.sehindemi@businessamlive.com with stories and commentary. Hadiza Bala-Usman, managing director, Nigerian Port Authority (NPA) has appealed to importers and exporters to patronise ports in the Eastern parts of the country to decongest Lagos ports. Bala Usman made the appeal at the NPA Special Day at the ongoing 29th Enugu International Trade Fair in Enugu on Saturday, saying patronising the Eastern ports would reduce trucks traffic on Lagos roads as well. 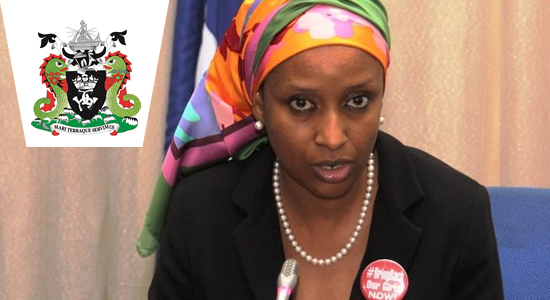 She appealed to importers and exporters to patronise the ports in the Eastern flank of the country, notably Warri, Rivers, Onne and Calabar ports, as this will decongest the ports in Lagos, noting that NPA had remained resolute in its drive to ensure that the nation’s ports remain safe, secure and customer-friendly, while delivering efficient port services. She maintained that the authority had continued with its vision statement of being the leading port in Africa and making the country’s seaports a pride of the nation in service delivery. “We have made improvement in our port infrastructure, navigational aids and channels with 24 hours port operations, both for berthing of vessels and discharge of cargo,” the managing director said. Bala-Usman said NPA had been adhering to policies and strategies as they affect ports operations in ensuring speedy clearance of cargo, improved infrastructure and equipment and that the authority would continue to improve intermodal transportation systems to encourage speedy transfer of goods from the sea ports. Emeka Udeze, president of Enugu Chamber of Commerce, commended NPA for always partnering with the chamber to educate members of the public on port operations and the ease of shipping their goods. Udeze said: ‘‘We are not unmindful of the various measures to decongest our ports but we say that a lot still needs to be done, because importers, especially from this part of the country, are still experiencing undue delay and unwarranted bureaucracy in clearing their goods at the ports.